Over three-fourths of Canada’s exports are destined for the US each year, and only 4 percent go to China (2015 figures). But Alibaba’s Jack Ma wants to change that. On Monday, he wooed Canadian businesses at an event in Toronto, telling them about the opportunities to export their products to China. China’s middle class of 300 million people is bigger than the total US population, he told attendees. 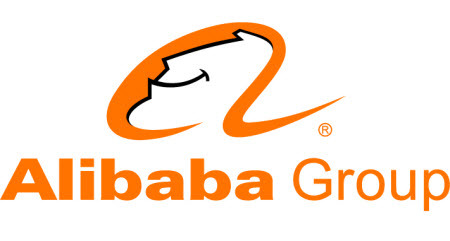 Alibaba Gateway Canada event introduced Canada’s small and medium-sized businesses and entrepreneurs to opportunities around exporting to China and encouraged them to offer travel, payment, and other services to Chinese visitors. Ma also participated in a fireside chat with Canadian Prime Minister Justin Trudeau at the event. China and Canada enjoy a special relationship, one that could pave the way for business success, Alibaba Group Executive Chairman Jack Ma told Canadian business people and entrepreneurs Monday. Alibaba hosted the one-day event at Toronto’s Enercare Centre to introduce Canada’s small and medium-sized businesses and entrepreneurs to exporting opportunities to China and offering travel, payment and other services to Chinese visitors. Gateway Canada featured keynotes from Ma and Canadian Prime Minister Justin Trudeau, as well as presentations from several well-known Canadian brands, such as lululemon, Viva Naturals and the Summerhill winery. Afternoon breakout sessions aimed to educate Canadian businesses about how to sell everyday and fresh goods to China and showcased a full array of Alibaba-related service platforms, including Alipay and the Fliggy travel app to attract the business of Chinese tourists to Canada. Sheer market size, the rise of China’s middle class and growing demand for safe, authentic, new and innovative products are going to partially fuel what China expects to be the import of $8 trillion in goods over the next five years. “For Canada, these past 50 years, the USA was the market. Today, China is the market. It has a middle class of 300 million people, bigger than the total American population, and it’s just the beginning,” Ma said. After their individual speeches, Ma and Trudeau sat together for fireside chat, jointly emphasizing the need to step up bilateral business ties. The two men seemed relaxed with each other, displaying a familiarity and rapport developed over five meetings in the past two years. Trudeau said Canada’s products are recognized for their good value, high quality and environmental responsibility, but the country needs to leverage that better. Canada’s companies should display more confidence on the global business stage. One opportunity to innovate will come in 2018, designated the Year of Canada-China Tourism. That point was highlighted by Alibaba senior managers in Europe and the heads of Fliggy and Alipay. Chinese tourists, who took over 130 million outbound trips last year, increasingly want full-service experiences, not just basic travel and accommodations. Anticipating and serving those needs are going to be vital to generate business. Canadian travel companies and merchants can benefit by creating extremely targeted, real-time advertising and marketing campaigns by tapping demographic and historical data about their customers supplied from Alibaba’s platforms. Lululemon CEO Laurent Potdevin said understanding the Chinese consumer has underpinned his company’s success on the Tmall platform. Th millennials who comprise a large part of his company’s business are characterized by rising spending power, are highly sophisticated consumers and have a growing focus on lifestyle. “You’ve got a generation that’s really passionate about designing a life they love,” he said. Sales on lululemon’s Tmall store are on track to triple year-on-year, Potdevin said. He credited that in large part to Tmall allowing the company to communicate its brand story to consumers, rather than merely serving as virtual shelf space. But the information he is able to collect about his Tmall customers is also helping to fuel growth offline. Jewelry chain Lugaro was singled out by Trudeau in his keynote as a company open to innovation and trying new things in the China market. The vertically integrated company, founded and run by Steve Agopian and his family, recently ventured into the China market via Taobao Global. In a three-day debut that included live-streaming from Canada by three Chinese bloggers, Lugaro sold 300 pieces. In one 90-minute period during its live-streaming campaign, sales of Lugaro jewelry generated gross merchandise value of RMB792,000. Taobao Global demonstrated live-streaming from the floor of Gateway Canada, drawing crowds of Canadians curious to understand the powerful marketing tool. For some Canadian businesses, such as Summerhill Pyramid Winery, simply going through the steps to accept Alipay opened the floodgates for business with China. Chinese visitors to the winery have climbed, physical and online sales to Chinese consumers have risen sharply. Overall, Ma advised Canadian small and medium-sized enterprises to be optimistic and be unafraid of change or failure. He said companies may well struggle for three years or so before they taste business success in a tough, new market. Companies that stay focused, hire well and retain the passion for what they do are best-placed for success, he said. Making it in China is a good barometer for global success, Ma said.